Are you confused in choosing between Nikon D610 and Nikon D7000? You have come to the right place. In the following article, we are going to see the differences and comparisons between Nikon D610 and Nikon D7000. 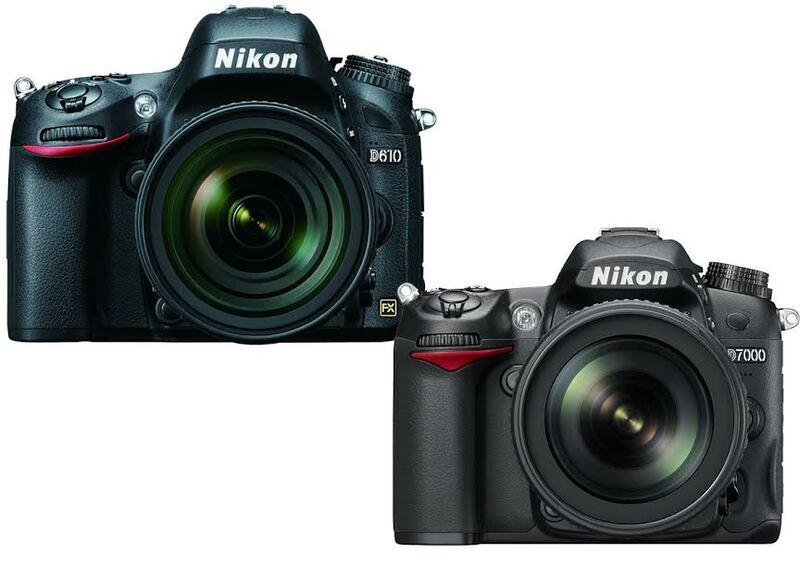 In terms of design, Nikon D610 and Nikon D7000 share some similarities to each other. They both feature dedicated controls for quick access to many important settings and features – a major reason to why these cameras are preferred by many dedicated photographers. Both are weather sealed, ensuring uncompromising reliability in all weather conditions. Both also come with a pentaprism optical viewfinder each. Despite being slightly bulkier and heavier, Nikon D610 features a slightly wider display than Nikon D7000. In addition, Nikon D610 comes with a headphone port, which can be handy for videography. If we are talking about battery life, Nikon D7000 definitely has the better edge. It can last for up to 1050 shots on a single charge, as opposed to Nikon D610 that can only last for 900 shots. The difference is pretty significant for outdoor usage, though some people may find the 150-shot gap as trivial. In addition, Nikon D7000 comes with a higher maximum shutter speed. The maximum shutter speed is 1/8000s. Nikon D610 only has a maximum shutter speed of 1/4000s, which is actually not bad at all. However, given that they have a similar ISO range of 100 – 6,400 (expandable to 25,600), Nikon D7000 can be more versatile in some cases. Even so, we still have to note that Nikon D610 comes with a more powerful sensor than Nikon D7000. Besides that the resolution is significantly higher, the color depth and dynamic range are also better. But the most significant of all is the low-light performance. Nikon D610 offers a much better low-light performance than Nikon D7000. All in all, Nikon D610 is the winner. It doesn’t have the shutter speed and battery life of Nikon D7000, but the sensor is much more powerful and reliable for producing better image quality. shootdigitalcameras.com is a participant in the Amazon Services LLC Associates Program, an affiliate advertising program designed to provide a means for sites to earn advertising fees by advertising and linking to shootdigitalcameras.com (amazon.com, amazonsupply.com, or myhabit.com).